Connecticut has the largest achievement gap in the country. This gap is the difference in educational performance between Connecticut’s low-income and non-low-income students, and disproportionately affects African-American and Latino children. Students from both low- and middle/high-income backgrounds make similar achievement gains during the school year. During the summer, however, youth from low-income families tend to lose a portion of those gains – often referred to as the ‘summer slide’. The differences in out-of-school access to books, positive reading practices, and connections with institutions supportive of self-discovery and reading, account for much of the disparity in student academic success. By third grade, low-income children may lag as much as two grade levels and have little or no chance of catching up to their non-low-income peers. Research shows that reading proficiently by the end of third grade is a crucial marker in a child’s educational development. Students who don’t read proficiently upon completion of third grade are four times more likely than good readers to leave high school without a diploma. When low-achieving students drop out of school, they forfeit the education they need to join a skilled workforce, contributing to the cycle of poverty in Connecticut’s urban and rural communities. NewAlliance Foundation believes that public libraries have a vital role in supporting the reading achievement of children who lack access to books and other reading materials in their daily lives. With this in mind, the Foundation developed a special funding opportunity designed for libraries positioned to benefit from a significant boost in resources to expand, deepen and diversify current efforts targeting children from low-income families at risk for the summer slide. Called “READy for the Grade” (RfG), four libraries were selected to each receive $35,000 per summer for three summers, each was required to partner with a local elementary school, and each developed a unique program tailored to the challenge in their community. The Foundation hired an independent program evaluator to collect demographic and test score data on each participating child to determine the impact of the program on summer reading loss. Each of the libraries selected to receive RfG funds had unique attributes to their program design and each faced unexpected challenges the first two summers of implementation. In nearly every case, design changes were made when initial efforts did not have the expected result. By the third summer of “READy for the Grade”, all four libraries succeeded in developing an effective way to address summer reading loss and each saw the positive impact of their efforts in objective test data collected and reported by the independent evaluator. Killingly Public Library (KPL) is a regional library in the northeastern part of Connecticut serving a rural population of approximately 17,500 people. 40.7% of the school population qualifies for free and reduced lunch, which is 8.1% more than the average percentage in the entire state of Connecticut. One of the two schools the library partnered with for this program has 48.2% of children meeting poverty criteria. KPL developed two programs, one in the main library branch and the second in a non-profit low-income housing community, approximately 15 miles away. Two residents of the housing community were hired to assist in coordinating the program at that site, and worked to encourage attendance and engage parents in the program. Over three summers of the program, 180 children were served by the program. Killingly’s program took place over 7 weeks, with each program site meeting once a week for two hours during the day. In addition, a “family night” was offered one night a week. Their program included large and small group reading, as well as one-on-one reading, writing activities, and arts/crafts/experiments that corresponded with books read. Each week, children were able to choose a book of their liking to take home and develop a home library. A total of twenty-eight hours of programming was offered to each child. The test scores of children participating the third summer of the program showed 90% maintained or increased their spring reading level. Two children participated all three summers of the program. New Haven Free Public Library (NHFPL) is an urban library serving Connecticut’s second largest city (population 130,000) with approximately 77% of the student population eligible for free and reduced lunch programs. NHFPL chose to locate their program in a library branch serving predominantly Latino families and partnered with a school where 95% of the students live below the poverty line. NHFPL succeeded in designing an effective program that offered 2 sessions a week, including mid-week “family nights”, for 7 weeks. In total, children had 49 hours of reading, writing and listening experience over the summer. A hallmark of New Haven’s program was the use of interns and hired staff to teach children with behavior and attention problems in small groups, apart from the large program room. They also offered tablet computers to those families who had their children participate in the program all three summers, resulting in the give-away of 12 tablets. Over three summers 98 children participated in the program. Forty-four percent of the children met the goal of maintaining or exceeding their spring reading score. Twelve children participated all three summers. Rockville Public Library (RPL) located in Vernon, is approximately 13 miles from Hartford, the state capital, and in a former “mill town” of 7,500 people. The percentage of children receiving reduced or free lunch is 41% overall, with the range across five elementary schools going from 12% to 77%. The majority of low-income residents live in the area of town where the library is located. RPL developed a 7-week program that operated two days a week, 3.5 hours a day for a total of 49 program hours over the summer. Two optional field trips and two family night events were also scheduled. The reading specialist at the partner school was hired to design the content of the program and also lead the children in lessons. Rockville also hired high school and college students as interns, many returning each summer, to supervise and engage students in reading exercises and support participation in reading games and literacy activities. The ratio of adults to children was high, sometimes reaching one adult to 2-3 children, which was especially helpful when children were distracted, had behavior problems, or difficulty following instructions. Children were regularly given books to take home. Over the course of the summer, a total of 61 hours of programming was offered. Over three summers, RPL served 52 children in the program. The test scores of children participating the third summer showed 95% maintained or increased their spring reading level. One child participated all three summers of the program. Wallingford Public Library (WPL) serves a suburban population of 45,000 residents in the south central part of Connecticut, about 20 miles north of New Haven. Wallingford has a poverty rate of 6.4%, with approximately 88.5% of the population completing high school. WPL is popular with residents and conducts many successful community programs; however participation from the local Latino population had historically been low. By partnering with a nearby school serving many Spanish speaking children and engaging the help of Spanish Community of Wallingford (SCOW), WPL succeeded in developing an effective bilingual reading program that succeeding in attracting new families to the library. WPL’s program ran for 6 weeks, ending with a large family night event the seventh week. All activities took place in the evening, with two groups being served on different nights of the week. The school reading specialist was hired to develop the curriculum and lead group reading activities, literacy games and literacy-focused arts and craft activities. While children were learning in the activity room, parents were engaged in a bilingual education class. This class had nearly full participation of all parents whose children were in the program and included topics such as: how to read to your child, vocabulary words for parents to emphasize, literacy games to play at home, and an extensive discussion of habits which strengthen literacy and support children as readers. A total of 23.5 hours of programming took place over the summer. Over three summers, 76 children and their families were served, with one child participating all three years. 83% of the children met the goal of maintaining or exceeding their spring assessment score at the end of the third summer. Over three years, RfG libraries served 439 children. NewAlliance Foundation invested $420,000 in these children, which is approximately $957 per child. The unduplicated number of children served, allowing for those who attended more than one summer and therefore not counting them twice, is 332 ($1,265 per child). Sixteen children participated in all three years of the program. Test scores show that of these 16 children, 15 had pre- and post-test scores after the final summer. Of these 15, 47 percent (n=7) made substantial gains in their reading scores from spring to fall averaging (median) a 5-point gain. The third year report filed by the independent evaluator showed that each library effectively stopped the summer slide in a majority of children participating in the program. NewAlliance Foundation and the “READy for the Grade” libraries began the first summer with high expectations. The libraries prepared for high enrollment numbers, substantive school cooperation, enthusiastic parents, and ease in obtaining test scores. In many cases, they did very well in these areas; however, each library experienced unexpected challenges, delays, and road blocks running their programs. Every library made changes to the program design described in their original proposal and in one case, a completely new plan had to be developed when the location of the program, extent of parental engagement, and structure of the program did not meet expectations. Flexibility proved to be a vital component of the program; allowing library staff to learn from mistakes and problem solve creatively which encouraged persistence in finding a better pathway to success. Some significant challenges encountered included difficulty attracting and maintaining students from low-income families, difficulty engaging and maintaining the interest of parents, and changes in staff at the partner elementary school, the superintendent’s office and/or the library, over the course of three years. Staff benefit by solving their own problems. All libraries made improvements to their programs each summer and felt secure they would not lose funding or be criticized if an approach to meeting a challenge didn’t work. Giving librarians an opportunity to follow their instincts, strategize creatively, and solve a problem their own way, gave them a professional growth opportunity and demonstrated the Foundation’s trust in their capacity to make informed decisions. Multi-year funding allowed focus to stay on program development. The assurance of three years of funding took the pressure and stress off staff to meet program expenses through additional fund raising and allowed staff effort to focus on managing programs effectively. $35,000 each summer was more than was needed to run RfG programs. All libraries had leftover funds at the end of each summer’s program. This ranged from $8,000 to $25,000 in unspent funds. On average, the libraries spent approximately $23,000 annually to run effective programs. 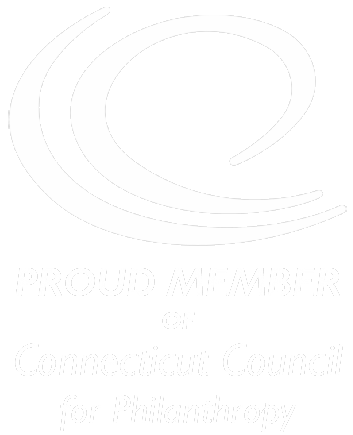 Drawing upon demographic data, recommendations from community leaders in childhood literacy, and a preliminary assessment of emerging initiatives, NewAlliance Foundation firmly believes that public libraries selected to develop RfG programs will be innovators for change and will positively affect grade-level reading proficiency in low-income children in Connecticut. The ultimate proof will be measured by future academic success, high-school graduation rates and the employability of the children when they enter the workforce of the future. 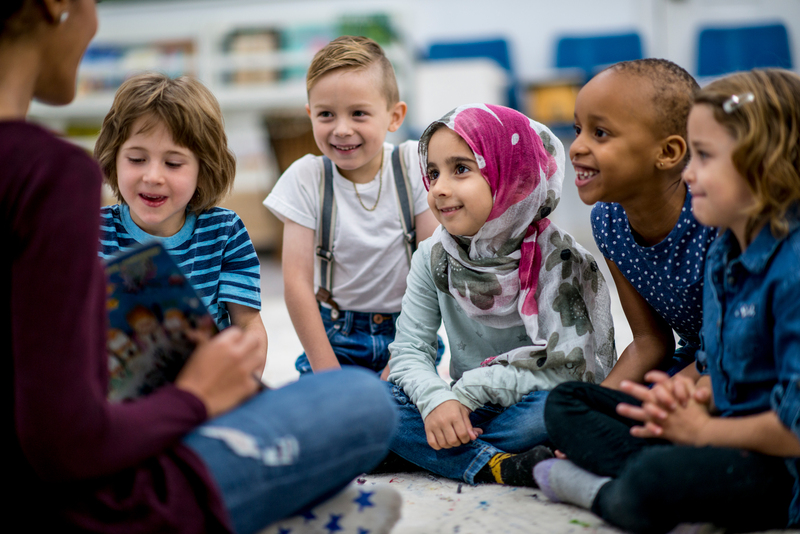 The feedback of teachers, parents, and librarians, provides evidence that RfG programs in partnership with public libraries can play an important role in supplementing public school education and impart confidence and enthusiasm for reading at a young age. It is a commonly accepted fact that early intervention is a key to success. “READy for the Grade,” at a cost of at approximately $1,000 per child, comes at a pivotal time in a child’s academic development. Providing interventions at a critical time —before a child falls so far behind they can never attain grade level reading skills necessary to succeed in school, and when the odds increase that that child will drop out early and struggle to become a productive member of society—ensures that these funds are a worthy investment. New Haven’s result is due to the school system changing the reading test product three years in a row. The test product used at the end of the school year in the third summer of the program did not easily correlate to the test used in the subsequent fall. 2013 & 2014 test results showed at least 83% of children met or exceeded the goal. NewAlliance Foundation added two more libraries to “READy for the Grade” in 2017 for a second three year commitment to the program. Manchester Public Library and West Haven Public Library have both partnered with local elementary schools and developed effective summer reading programs targeting the neediest children. Test score results indicate the children participating in each of these library programs, have successfully stemmed summer reading loss.